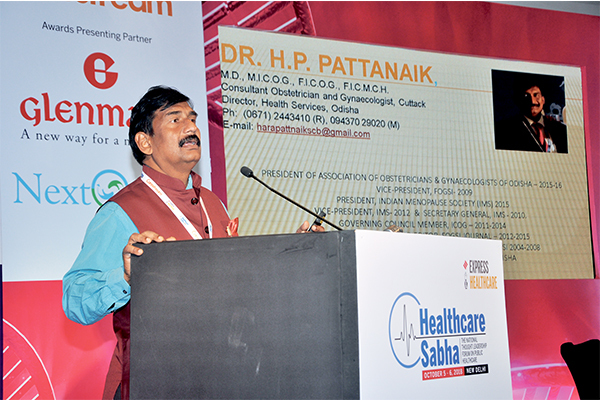 Dr Hara Prasad Patnaik, Director of Health Services, Odisha, spoke about healthcare initiatives by the Odisha government. He began by informing the audience about how the state government is improving its health indicators by implementing several public health schemes. “The new health scheme called Biju Swasthya Surkasha Yojana (BSSY), is the most promising scheme under which free diagnostic, treatment and medicines worth up to ` 5 lakh will be available per family per year. We are targeting to cover a population of 70 lakh families,” he said. Odisha also has PPPs in areas focussing on cardiac and ophthalmic care, he added. Healthcare Sabha 2018 | Why healthcare schemes in India fail?